Celebrity Gossip and Entertainment News: Prince Michael Jackson Caught Smoking Weed? 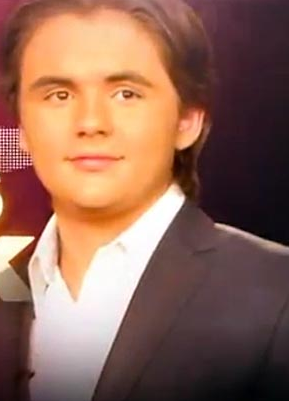 Prince Michael Jackson Caught Smoking Weed? Michael Jackson's son Prince spotted smoking suspicious cigarette with his father's former doctor. Michael Jackson 's eldest son, Prince Michael was photographed this week smoking a rolled up cigarette, with one of his late father's doctors in Miami. The 18 year-old was relaxing on board a luxury yacht on Tuesday when he was photographed sharing the cigarette with Dr Alimorad Farshchian, who treated his father towards the end of his life and another man. Farschchian had a strained relationship with the superstar, who passed away in 2009 and according to documents seized by Santa Barbara Sheriff's Dept. during Michael's molestation trial he had been attempting to get the star off Demerol and onto a less addictive substitute for the drug. Though he's clearly on good terms with the family now, as he enjoyed the day out with the teenager. Despite the appearance, Farschchian later told TMZ there was nothing suspicious about the cigarette he'd shared with Prince and that it was just tobacco.